McDermott used the funding to purchase a flow cytometer for the Department of Biology. The state-of-the-art machine will greatly enhance the research opportunities available to undergraduate science students at SAU. 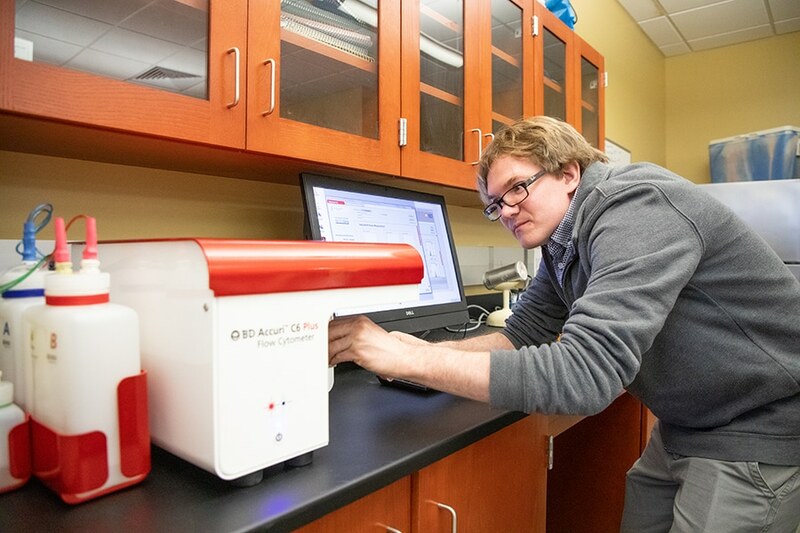 Flow cytometry is a cutting-edge technology that has numerous applications that can be applied to the wide variety of fields of biology that are taught and researched at SAU. It is capable of analyzing thousands of cells in a matter of seconds as compared to a microscope, which limits the number of cells in the field of view. The flow cytometer increases both quantitative power and time efficiency. It comes with a computer workstation and user-friendly software that will make it easy to train both faculty and undergraduates. For students, it will mean hands-on experience with flow cytometry and a greater opportunity to publish academic papers. 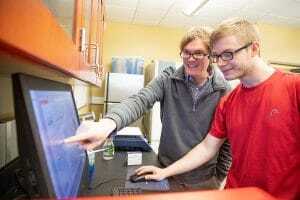 “Medical and dental schools require more and more undergraduate research, and the Biology Department is always looking at ways of expanding those opportunities,” McDermott said. The grant was made possible by The Arkansas INBRE, which is funded by a grant from the National Institute of General Medical Sciences under the Institutional Development Award (IDeA) Program of the National Institutes of Health (NIH). Dr. Antoinette Odendaal, assistant professor of Biology and Chemistry, recently secured an INBRE grant in the amount of $20,000 for a pilot study. She also contributed to an Arkansas INBRE Shared Research Grant in 2016, for which SAU required a motorized fluorescence microscope with a camera capable of capturing fluorescence and bright field images.